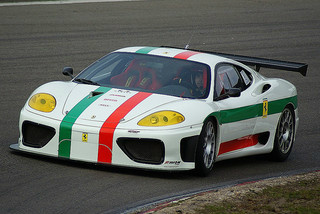 The 360 GT sports car received limited production, which ended in 2003, when it was succeeded by the Ferrari 360 GTC, where "C" referred to Competition. 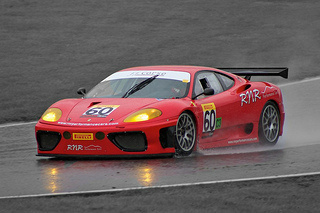 The 360 GTC received its press release in late 2003 at the Bologna Motor Show, and was produced up to 2004. With collaboration from Michelotto, it was fully supported by Ferrari, and was developed with the aim of being a major force when entered in the GT Championship. The 360 GT, although it performed well on the track, struggled when competing with the likes of the Porsche 996 GT3, and it was for this reason that the GTC was introduced. its weight had been reduced to 1000 kg from the 1100 kg of the 360 GT, and Ferrari benefited from the experience gained when race testing the GT. The GTC was homologated (entitlement to race) by the FIA on the strength of the number of units produced of the 360 Challenge Stradale sports car from which it derived a number of components, such as front bumper, side skirts, engine cover, and rear section. With favourable demand from Ferrari customers for the 360 GT, the company decided to offer the new GTC for sale to the new and existing customer base. Although the engine was still subject to the FIA requirement for racing in the GT class of fitting two 30.8 mm air restrictors, output was still increased from 430 bhp at 8500 rpm with the 360 GT to 472 bhp at 8750 rpm with the GTC. With this additional output, the top speed rose to an incredible 200 mph plus, with a 0-62 mph time of 4.2 secs. A benefit from the increased performance of the 3.6 llitre, V8 engine was that fuel consumption was lowered. An interesting fact was that, when the air restrictors were removed, output was dramatically increased to 550 bhp at 8750 rpm. This fact was born out when, a few years later, a 360 GTC owned by a privateer, that was fully tuned and in race trim, but without the incumbency of the air restrictors, was entered in premier endurance races, including Sebring and Le Mans. 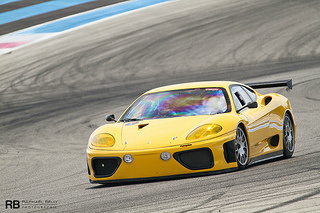 An excellent example of a Ferrari 360 GTC was sold at auction for $154,000. One of the many classic cars from Ferrari.